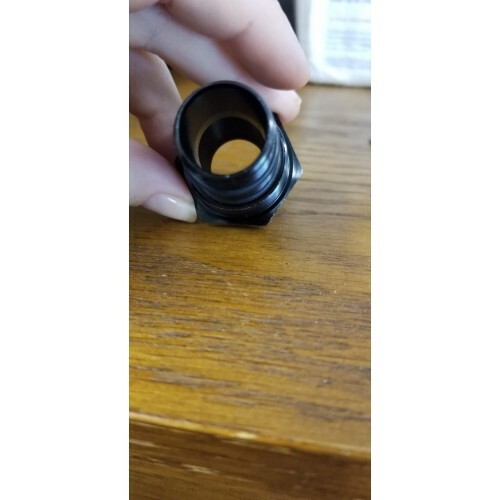 The solvent trap is an adapter that screws on to the threads of your gun at one end and the other end you screw on an oil filter to trap the cleaning solvent when cleaning your gun from the breech. Hence the name Solvent Trap Adapter. The solvent trap adapters comes in different thread sizes. 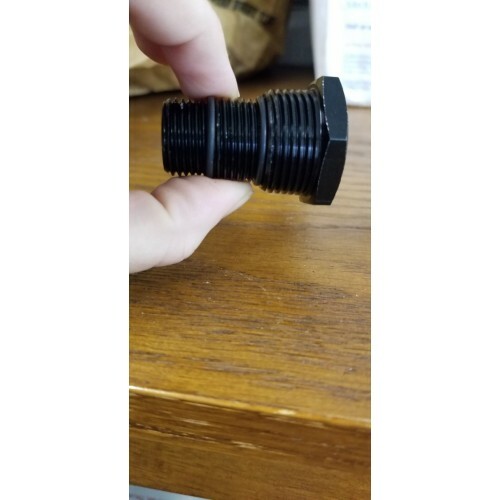 This solvent trap adapter has 5/8 x 24 right hand threads. 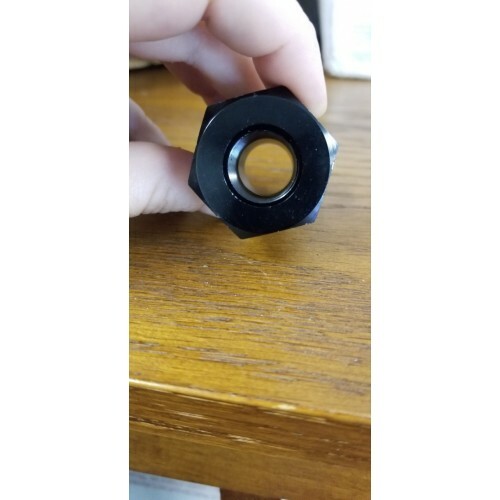 It will fit any caliber gun that is threaded 5/8 x 24 right hand . 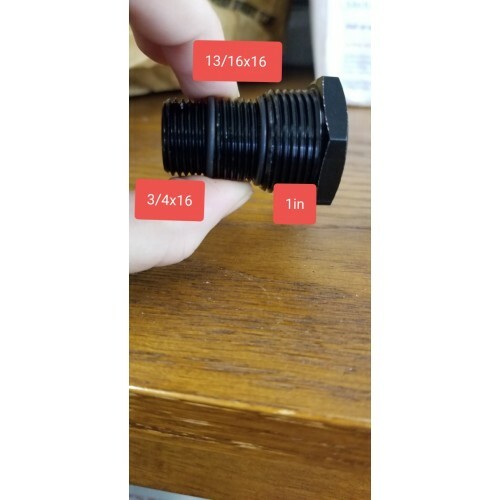 The oil filter thread is threaded to adapt to 3 different sizes, The thread sizes are; smallest-3/4x16, medium-13/16x16, large-1IN. This solvent trap is made of aluminum black in color and hexagon in shape.